Why did we start making videogames? Like most of indie game developers around the world, we are avid gamers. We also have a strong background in animation, music, visual art and a variety of physical art creation. We love fairy tales, games, and paper as a substance itself. There is something really magical in every piece of paper be it just a piece, a chunk or a slab. The past has refined paper as a medium to its bare bones and we use it profoundly. We believe that video games as a medium are full of expressive potential yet to be explored. Our decision to start making video games was based on two working concepts of Paperash Studio. The scale of the train vs. scale of the human model the train carries – by exploring “guts” of the train and your delivery package, you will visit spatially challenging environment. Consequences of the movement of the train on the human model – in Dark Train you will change the order of wagons in which the train carries different environments of the human model. Changing the order will change the environment itself. But what will happen when the train starts to move? Will the model be the same as before? There are more situations and elements already implemented in the game, that will influence the train. To be bluntly honest we have really hard time explaining without spoiling, but if you can influence insides of the Dark Train, you can surely influence the outside world? Right? We wanted to make a game that we are capable of creating exactly in our own fashion and with a unique theme. Preferably with the help of one of the game engines like Unity that offers us a lot of accessible and easy to use features. 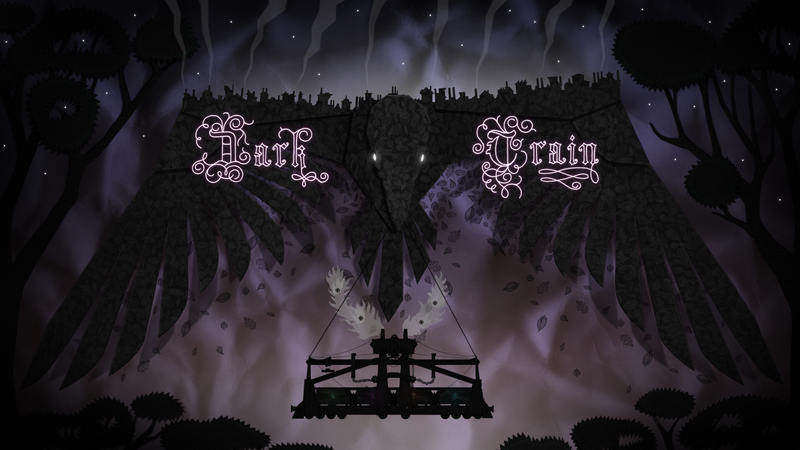 Dark Train is an explorative real-time adventure with a disobedient heroine – Ann 2.35f  that is tied to an unpredictable machine (Dark Train, the tamagotchi). In contrast with the classic point-and-click adventures, we are focusing on dynamic and physical controls. We believe that the best storytelling element in video games is the environment and the particular situations that players can explore or solve within the game world itself (Dark Souls, for example). Therefore, we primarily focus on building a strong atmosphere of the world and in-game situations within our game. Our visual style provides us with wide options to relay the causes and consequences of individual events without using any text. This approach means that Dark Train is open to interpretation and that is something we definitely want. Dark Train is just a small part of our lore and there is a lot of stories that are more or less related to the game but not directly a part of it. We want to tell these stories through other media or in future games. 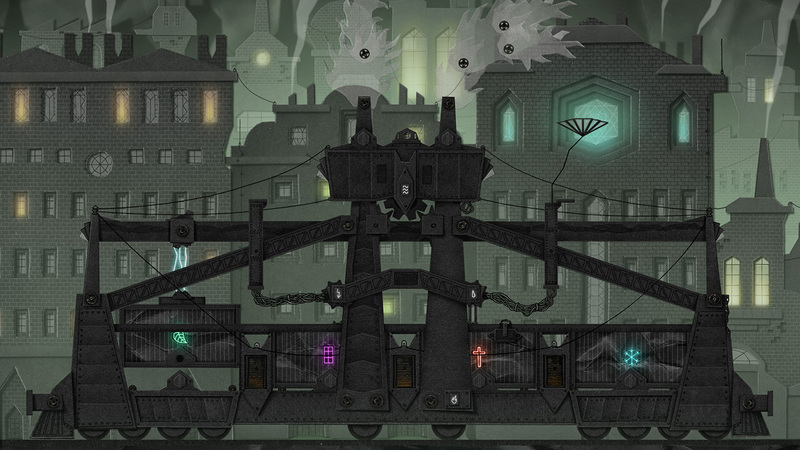 We have already used the visual style seen in Dark Train in a few short animated films. Along with the intention to reach a strong “meta atmosphere” in the game, this technique is very time-efficient for us – not to mention the professional skills we already possess in the field. 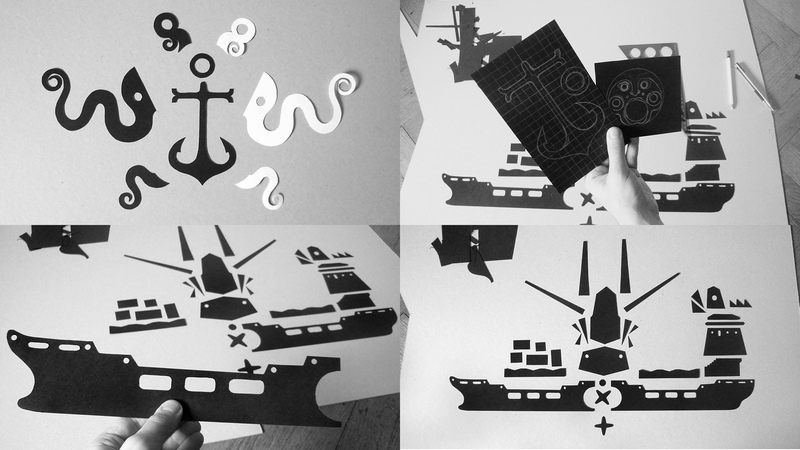 The paper modeling itself is basically our hobby and that provides us with a comfortable balance between digital post-production and relaxation. Furthermore, the music of Dark Train is partially made with paper (we will cover this in a future article called “Making of Dark Train Music”). We have big plans for the paper models we used in Dark Train so we are really happy that we have them physically available and not just in the form of data. In the next article, you can look forward to a Dark Train universe timeline along with some historical contexts of the game. Stay tuned!